Singularity is a simple yet powerful tool that make creational process of new music easier for music producers and vocalists, even unprofessionals just like you and me creating own music. 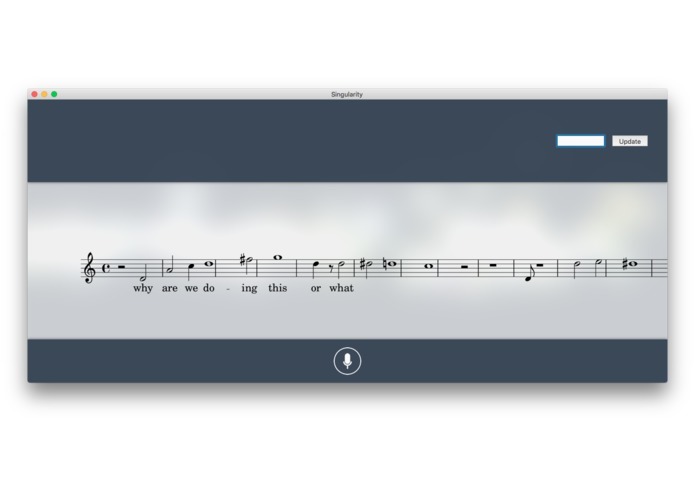 It’s dead simple and elegant: just sing to your computer, and you can see score and lyrics synced, in real time, as if a trained musician is scribbling score, just for you. 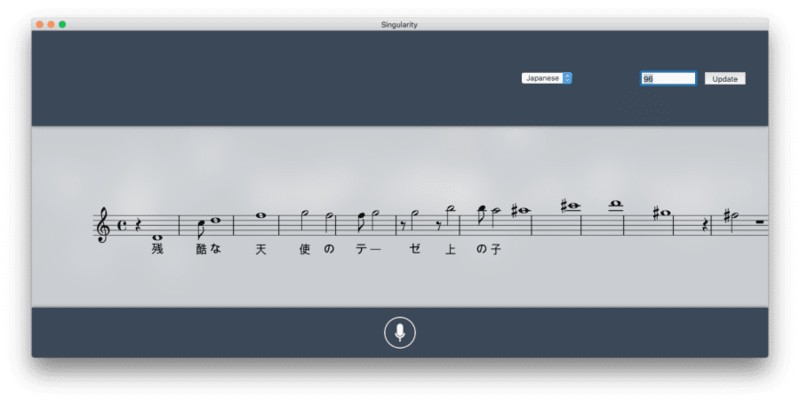 It is more than a recorder and a score generator combined in one…it generates production-ready scores, lyrics. A beautiful tool itself is inspirational. You can sing your song in almost any language. 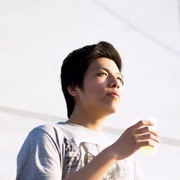 The app interface was built using Swift and Cocoa, and there’s a great deal of state-of-art sound tech underlying this simplicity: it is powered by using Fast Fourier Transform, Harmonic Analysis, and Natural Language Processing, and we rendered the score transcript using LaTeX and Lilypond. 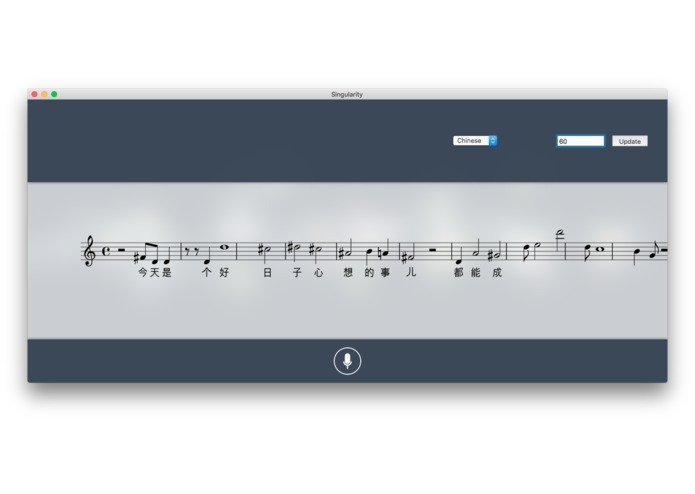 It's first time we write some music processing app on OS X, and many feature, such as pitch recognition and voice recognition takes us a lot of effort to implement. Integrating many libraries from many sources (and even writing our own) needs a lot of effort, especially those about NLP and transcript. Original idea. Audio algorithm. Score generation.